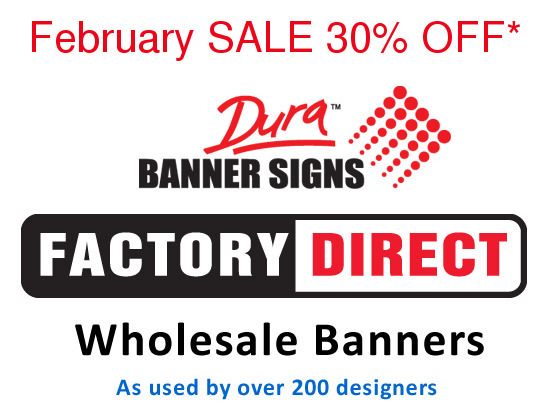 April 2019 Factory supplier of custom banners events & displays for designers and wholesalers everywhere! 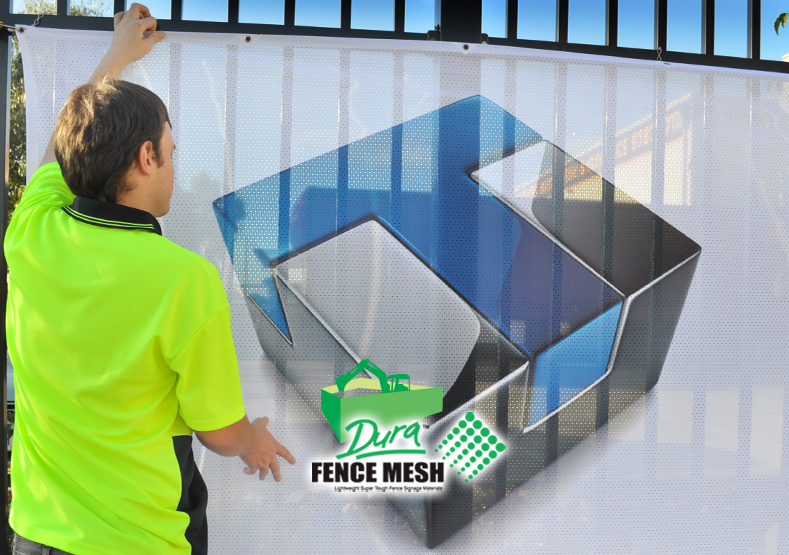 These Mesh Banner Signs (Signage) are widely used as screens attached to temporary fences ... For example, in and around Australia they are seen as temporary barriers for large areas and building company site perimeters during construction or fixed with a plastic cable tie through the eyelets of the mesh banner to a suitable frame such as a fence hire or scaffolding hire. 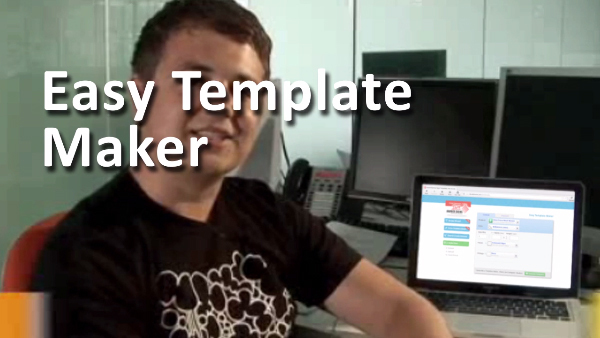 Builders supplies, graphic design company and many sign company owners in Australia. 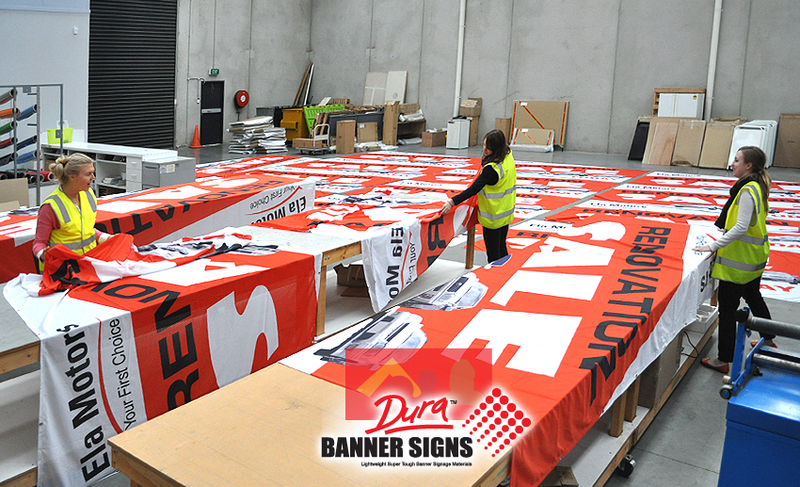 Fast becoming one of the World's best banner sign printing suppliers for trade, sign shops and graphic designers, signage banner and Australia flag banner, building products such as temp fence hire, event management and promotional products companies are relying more and more on the expert services provided. 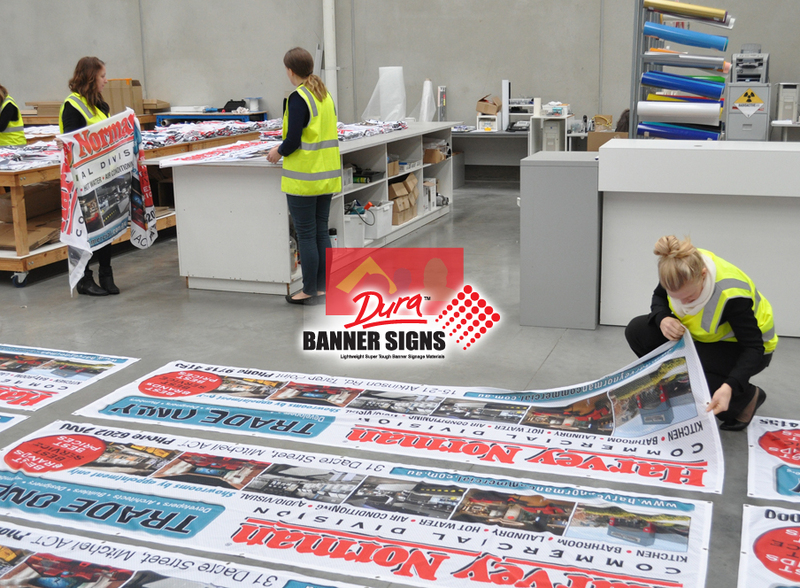 "I'm glad to recommend the full mesh banner range to any sign shop business owner in Australia". Our new Banner Sign Company service is Australia's new favorite trade wholesale signage company supplying event, fence and advertising printing onto outdoor and indoor materials for Melbourne, Sydney, Brisbane and other sign company users large and small throughout Australia with FREE Delivery of banner signage printing for outdoor and indoor displays, marketing, presentation expo and functions. We print onto long life fabrics used to make banner signs including sewing and hemming, eyelets and hook n loop options. Trade buyers (sign companies, ad agencies, event managers trade show graphics etc) can purchase complete printed trade signs, delivered unbranded to their door. As used by wholesale agents sign companies designers and corporate business advertising agencies who arrange and purchase bulk signage for stadium signs supermarket display retail indoor display and more. It is an ideal service for all sized small to medium Australian signage company suppliers whom need a professional company with the latest wide format techniques and results to help take them into new product lines not previously available. Fence Banners are made from Durabanner fabric (aero with small cylindrical ellipse holes #weave xb3-c) to accommodate the high resolution prints and full color outlays. Fence Banners are also known as Banner Mesh, Endless Banners, Perimeter Wrap's & Site Screens and Advertising Fence Wrap, Dust Control and Temp Fence Advertising and shade cloth printing. We manufacture high definition resolution printed fabrics with full photographic design qualities and print using the latest Duracoestatic printing techniques which gives your trade wholesalers a brilliant result they can rely upon. 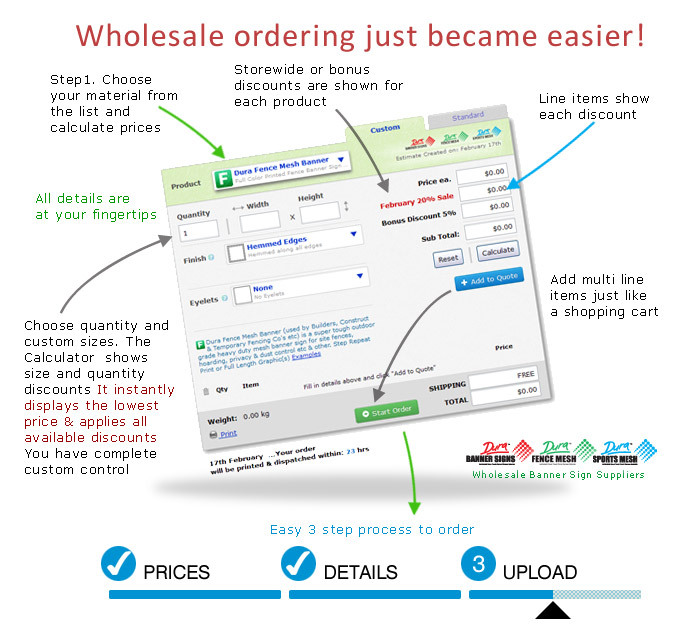 Supply lines you can count on anytime... call us anytime free!